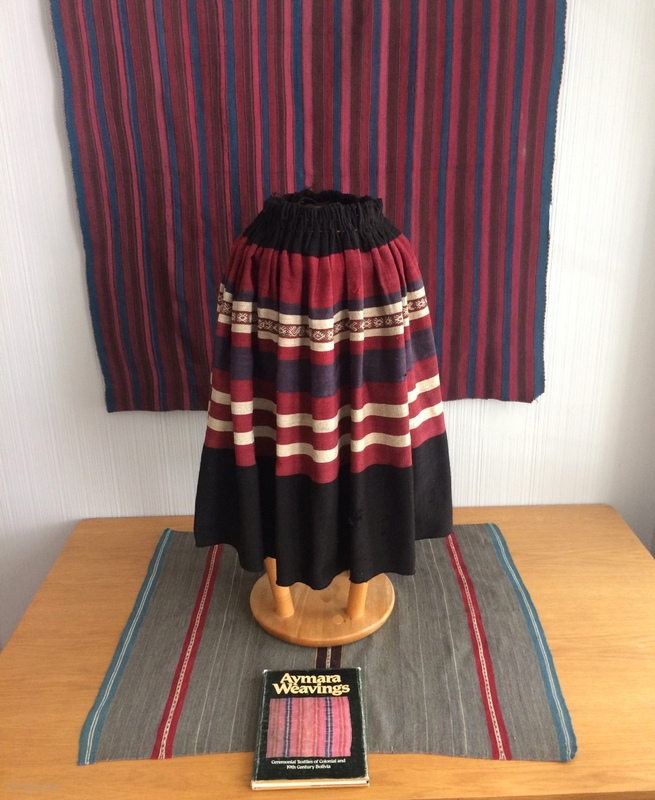 19th century woman's skirt known as an "urku" in the Aymara language. This pleated skirt form was adopted by the indigenous Aymara from a pleated skirt type worn by Spanish women in the 17th century. Aymara women had originally worn the aksu, (see previous post) a large rectangular textile that was folded and worn with a belt as a dress rather than a skirt. The aksu remained partly open on one side exposing more of a woman's body than was considered modest by the Spanish priests. The urku came into use by the Aymara probably in the 17th century, as a result of dress codes enforced by the Catholic clergy. This particular urku was created using a long warp-faced woven rectangle of alpaca cloth measuring 29 x 120 inches before it was pleated on one end. 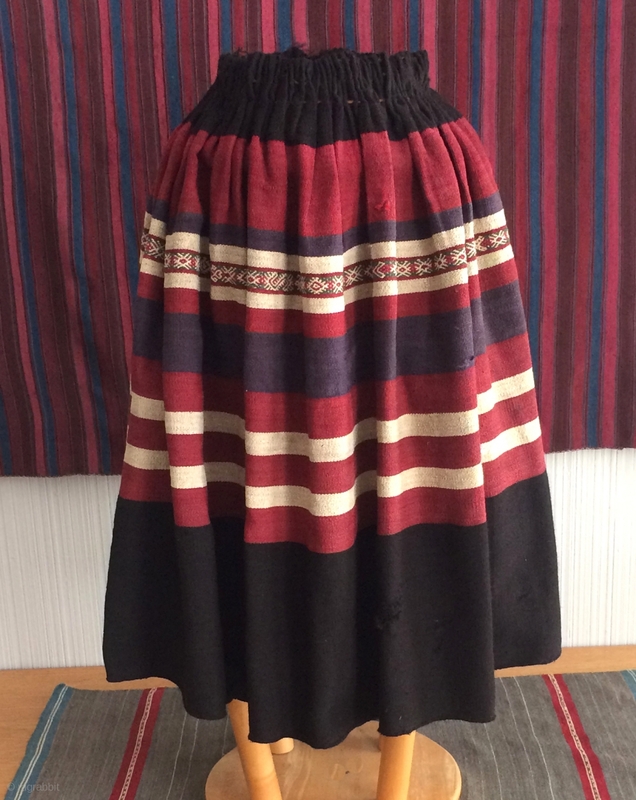 Patterened urkus like this were worn for ceremonial purposes such as festivals, ritual practices, weddings and other special occasions. 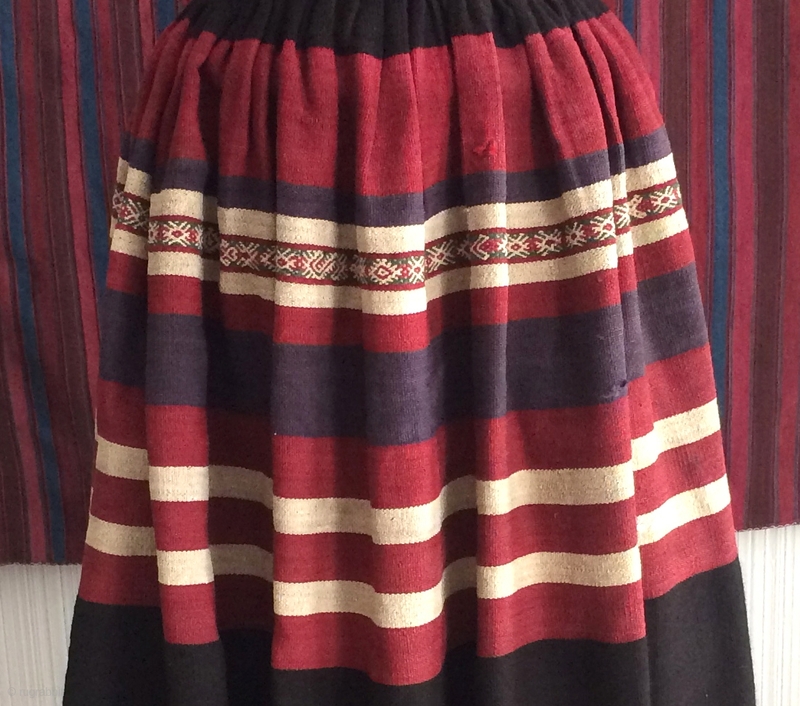 Most urkus collected in the late 20th century were un-pleated to be exhibited on walls as long rectangular textile art pieces rather than as ethnographic objects. 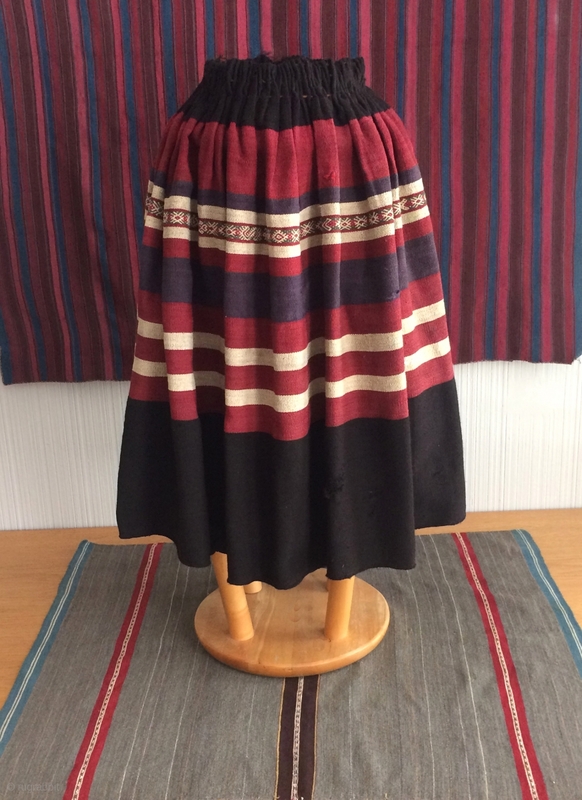 This example has retained its original pleated form since sometime in the second half of the 19th century when it was made. It would have been impressive when seen in local dances where twirling dance moves were part of the repertoire.